"Ready to Take Piano Lessons?" "Learning Piano is Fun Here!" Are you too young or too old to take piano lessons? Playing the piano can be a whole lot of fun. Not only can the skill of playing the piano be a great hobby, but being able to play the piano can transform players into great musicians. This is why talented individuals should take advantage of the piano or keyboard lessons that are provided on the internet. The unique lessons presented here are designed to develop beginners, players at the intermediate level and even others who are considered to be at the advance level. After all, too much information is not really a bad thing. Do you love to play the piano? Do you want to be able to play the piano? The answer to the questions above for most individuals would be "Yes!" However, some individuals have tried and have given up while others do not have the time to go to a music teacher for piano lessons. I can say that all is not lost for individuals who still want to become a pianist or a musician in general. With the internet at your finger tips you are well able to play the piano within months. You can even do it yourself at the beginning and then arrange for a piano teacher to help you when necessary. Click here for a lesson that will help you get started! A piano teacher! Oh yes! 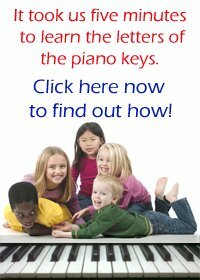 A piano teacher is still very important at the initial stages of learning to play the piano. Someone with great experience is certainly an excellent guide. As I mention the word "guide", it would be good if you visit the beginner lessons guide page, it has several links to lessons for beginners and intermediates on this website. Do you remember the hit you got on your fingers after making an error? Yes, I do remember getting some from my piano teacher during the early years of playing the piano. This can be a big turn off for some individuals. The good thing about this modern era is that there are lots of resources available for both beginners and experience piano players to take advantage of. So therefore you don't have to worry about getting hit on your fingers. Well, they helped me some how! :) . So what will you accomplish here? 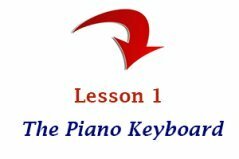 It is very important that you learn the basic techniques in piano or keyboard playing before you can be an effective pianist. Take advantage of the free information provided on this website. However, there are going to be some external recommendations that will be useful for your development. But I am confident that the resources provided will enable users to play scales, read music, learn how to play chords on the piano, play several popular songs by ear, among others. It is very important to note that no one website will be able to teach everything you need to know on the piano. Therefore, piano students have a great role to play during the learning process. Seek additional information somewhere else if you need! However, efforts are been made to cover all you need to know in the lessons provided. Your role as a piano student is very important! It is important that you own a piano or any other keyboard instrument so that you can practice. Practice becomes prefect! You will become frustrated and impatient at some point, but never give up. After a while you will realize that you are becoming a more fluent piano player and you will start to explore different musical styles that interest you. Piano lessons are very important to both children and adults. Taking piano lessons can help you to relax, build self confidence, reduce stress and make you a more patient individual. But remember, during the process you are becoming a great musician. Who can tell? You might be the next Beethoven. Have fun learning! Have fun playing! 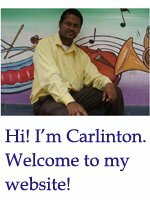 Piano Lessons - Begin Here! Arpeggios can be simply described as broken chords. The notes in the chord are played one after the other instead of playing them simultaneously. 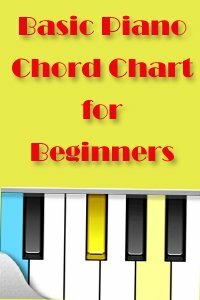 On this page you are going to learn about various piano chords, how they are formed and played on the piano. Take advantage of some basic piano exercises that will develop your piano playing skills. Become a better piano player by developing your speed and finger strength. A chord progression can be described as a series of chord changes that are played throughout a piece of music. These changes normally flow with the melody of the piece. 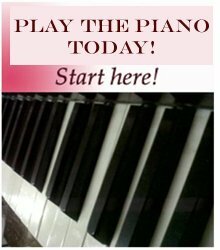 Learn how to read music by using the unique tips provided for musicians and piano players on this website. Great piano lesson books that you can use to develop your piano playing skills.